Improving on standard treatments for life-threatening conditions is an ethical imperative. The use of a randomized clinical trial is the "gold standard" for determining what works best for people. Likewise, the “gold standard” for maintaining individual rights of citizens is to ask for informed consent from persons prior to participation in a clinical trial. In emergent medical situations, a participant or their representative may be unable to provide informed consent in the customary fashion prior to treatment. Some patients are too sick to consent to immediate treatment. For example, in trauma or in cardiac arrest, participants will either be in a semi-conscious or unconscious state when they are enrolled in research studies. Life-supporting interventions must be given immediately in the field to save their life. Therefore, some acute care research studies are conducted under federal regulations that allow an “exception from informed consent.” For treatments that must be given immediately to be effective, exception from informed consent research is considered appropriate by federal regulatory bodies and many ethicists who study this field. In exception from informed consent trials, citizens receive standard treatment in addition to research treatment. To be tested in this fashion, the research treatment has to have shown promise in earlier or smaller studies. Although advances in the care of the severely injured patient have occurred over the last decade, the most acute threat to severely injured patient’s is uncontrolled hemorrhage (bleeding). This bleeding results in significant early death and the development of complications like multiple organ failure. One reason for uncontrolled hemorrhage is the early failure of blood clotting (coagulopathy) after severe injury. Essentially, if the injury is too large, the body begins to breakdown its own clot which can become worse over time. Increasingly, surgeons at trauma centers are using tranexamic acid to reduce the breakdown of clot and address this coagulopathy (bleeding disorder). It has been shown to be beneficial after arrival to the trauma center. The mechanisms responsible for this potential benefit are not known. We also don’t know if starting the medication earlier (in the prehospital setting) is better. By stopping the breakdown of clot and improving the body’s ability to clot, we may reduce the need for blood transfusions and reduce mortality (death) and improve outcome following traumatic injury. Starting the treatment of clot breakdown with tranexamic in the prehospital setting, before arrival at the trauma center, might reduce bleeding earlier and might reduce death and complications after severe injury. This study will determine the effect of infusing tranexamic acid during pre-hospital emergency medical transport (EMS) on 30-day mortality in patients at risk of bleeding as compared to placebo. We will also examine the effects of tranexamic acid on other clinical outcomes (clotting measurements on arrival to trauma center, total blood transfusion requirements during the first 24 hours, the development of multiple organ failure, hospital-acquired infection, acute lung injury (ALI) and abnormal clotting throughout the body). In the Western Pennsylvania region, STAT MedEvac, EAPS, and Penn Hills will enroll patients with blunt or penetrating trauma and at risk for significant hemorrhage who are being transported to a definitive care trauma center participating in the trial. Tranexamic acid will be given during EMS transport in this study as compared to placebo. Tranexamic acid has not been available in the pre-hospital setting before, but data suggests the earlier tranexamic acid is given the better its effects may be and patients may survive with better outcome. If tranexamic acid treatment proves beneficial, this study could provide a roadmap for many other emergency services to use tranexamic nationwide. The study will be conducted over 3 years in Western Pennsylvania and in other centers. The University of Pittsburgh will serve as the Coordinating Center for this multi-center clinical trial. Participating sites include the University of Pittsburgh, University of Arizona, University of Texas Health Science Center at San Antonio, and University of Utah. 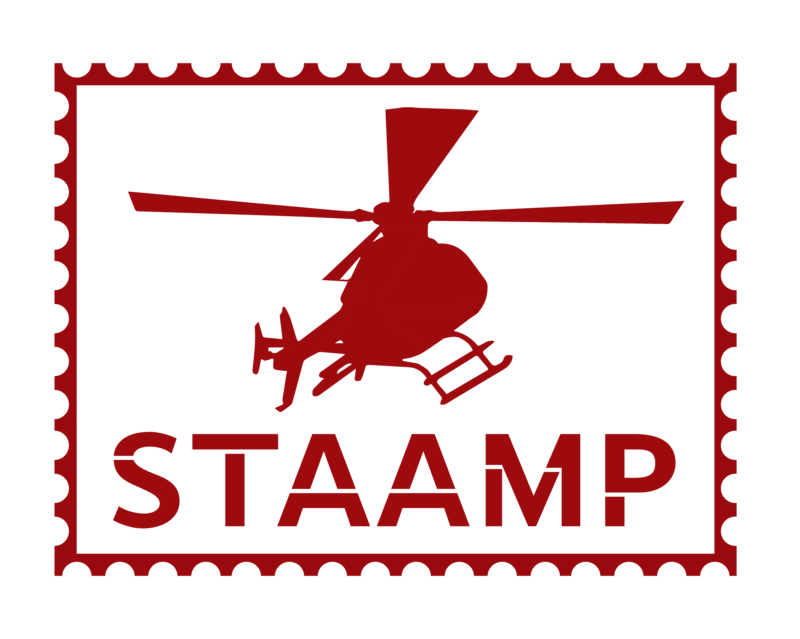 This study will be conducted under an Exception from the Requirement for Informed Consent for Emergency Research because patients will be enrolled who are in extremis (life-threatening bleeding and shock), and the treatment must be started immediately (in the helicopter or ambulance enroute to the STAAMP participating trauma center). Because patients to be enrolled in this study will be unable to give informed consent, this study will be conducted under the exception-from-informed consent process, which includes community consultation and public notification.